Eltronicschool. - This is one of the top innovation in electronic engineering to you to improve your daily life with the efford to find lost items out of bluetooth range now. And this is the article titled Top Innovation: Find Lost Items Out of Bluetooth Range to Improve Your Daily Life. Bluetooth-enabled item locators are small tag-like products that you fix to your belongings. When you are unable to find something, you can make the tag/locator beep or ring, follow the sound and find the item. It helps to find even a phone in silent mode. TrackR Bravo is one such item locator, but what makes it better than the rest of the breed are features like Crowd Locate. Crowd Locate helps you find your belongings even when these are out of your Bluetooth range. If your umbrella is buried under the cushions, you can find it using any normal Bluetooth locator, but what if you left it at a clinic? Whenever you miss an item, the TrackR app records its last known location on a map. When another TrackR app user comes within Bluetooth range of your lost item, its location is automatically updated in your app. This makes it easier to find objects lost elsewhere, too. 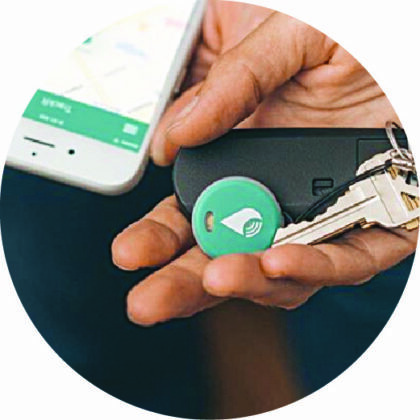 Crowd Locate basically harnesses the power of numbers, as TrackR has sold millions of its devices across nations. The TrackR app also lets you setup custom ‘separation alerts’ when you are about to forget and leave behind important items like your keys or phone. Likewise, when you are searching for an object, the distance indicator helps by showing whether you are getting nearer the object or moving in the wrong direction. Alexa Integration enables you to just shout out your search instruction when in a rush, and TrackR will find it for you! You can also customise your TrackR Bravo by printing a photo on it or engraving your number so that people can contact you if they find it. And now you can read more about the article of Top Innovation: Find Lost Items Out of Bluetooth Range to Improve Your Daily Life from original source using the link HERE.